There is a marked difference between the political neophyte who campaigned for mayor in the wide-open race to succeed Sam Katz and the incumbent politician who's striving to hold on to his job. On the basis of temperature alone, Winnipeggers ought to have warm memories of the day Brian Bowman was elected mayor. The temperature peaked at 17 C on Oct. 22, 2014. On that unusually balmy October evening, Bowman sailed into the mayor's office on a platform laden with ambitious promises. During the 2014 campaign, the privacy lawyer promised to complete all six of the bus rapid transit corridors envisioned in Winnipeg's transportation master plan by the year 2030, at a cost estimated in the billions of dollars. He pledged to reopen Portage and Main to pedestrians by the year 2019. He promised to direct city council to elect members of executive policy committee instead of appointing loyalists to his inner circle. 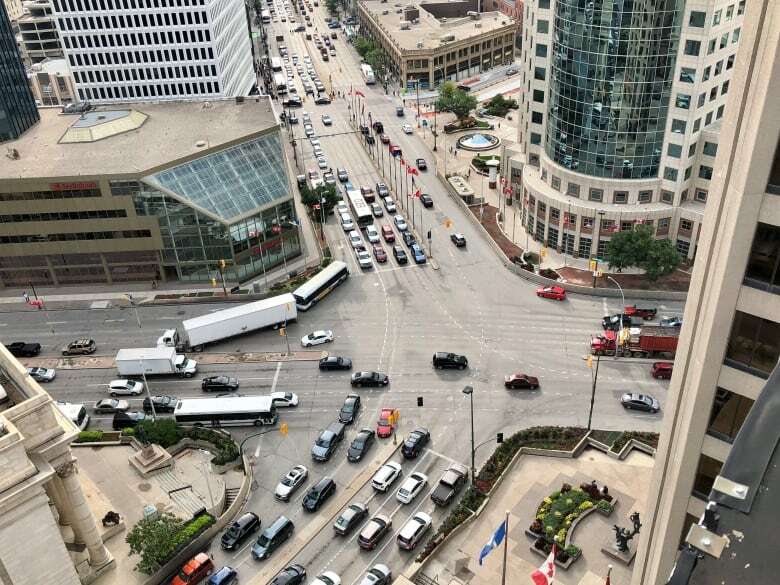 Four years later, Winnipeg remains five bus corridors away from Bowman's rapid-transit promise, the future of Portage and Main has been left to a plebiscite and executive policy committee continues to be appointed by the mayor. While Bowman has fulfilled most of his 2014 promises — downtown has a dog park and WiFi is coming to some Winnipeg Transit buses — there is a marked difference between the political neophyte who campaigned for mayor in the wide-open race to succeed Sam Katz and the incumbent politician who's striving to hold on to his job. "My primary task is earning the confidence of Winnipeggers right now," Bowman said in an interview last week at a coffee shop in the west Winnipeg neighbourhood of Sturgeon Creek, in between swigs from a bottle of Dad's root beer. The centrepiece of that effort is a single infrastructure promise: Bowman is pledging to conduct $976 million worth of road repairs over the next six years. As far as gambles go, this comes with almost zero risk. On Sept. 7, Bowman announced the federal and provincial governments agreed to help Winnipeg top up road-renewal funding by $300 million. He was so eager to make this deal public, he got out ahead of his partners on Broadway and Parliament Hill by almost a week, surprising them with an announcement in early September. Now this road-renewal promise stands out on a re-election platform mostly made up of small if not outright spindly planks. Bowman's 2018 promises include pledges to divert money from a transit-garage repair job to build more heated bus shelters, replace three relatively obscure city hall committees with a new human-rights committee and continue raising property taxes at the same rate they've risen over the past four years. "I think I'm the only [candidate] that's offering a positive vision to keep moving Winnipeg forward," he said, defining that forward momentum by his promise to fix the city's roads. "I don't think a $976-million road commitment that's funded is a light campaign commitment," he said, chafing at the suggestion road repairs constitute the bare minimum of what's expected from a city. "It's not the only thing that we've been working on, but it's a really important one for Winnipeggers." The transformation of Brian Bowman from an urbanist progressive in the mould of Calgary Mayor Naheed Nenshi to a pragmatist more akin to Toronto's John Tory did not take place overnight. Bowman entered the mayor's office as an idealist with the stated commitment to purge city hall of the scandals that characterized the Sam Katz era. Within months, the rookie mayor's desire to place Winnipeg real-estate deals under a microscope got him into a fracas with True North Sports & Entertainment and downtown development agency CentreVenture, which Bowman accused of cooking a backroom deal over what eventually became True North Square. The incumbent mayor is now an ardent True North Square proponent who went to bat for a new round of incentives for the project this September. Bowman also has tempered his urbanism, going so far as to endorse the Portage and Main plebiscite proposed by Jeff Browaty, who's running for re-election in North Kildonan, and Waverley West councillor-elect Janice Lukes. 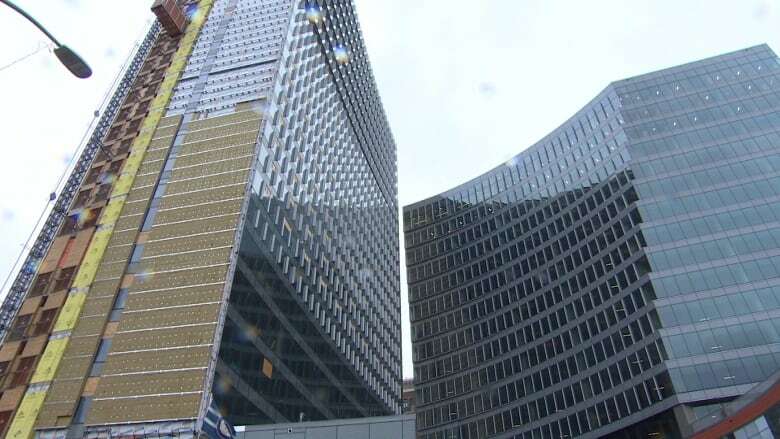 The mayor said his climbdown from his 2014 campaign promise was borne out of a desire to listen to the electorate and not because three members of executive policy committee were prepared to vote against reopening Portage and Main. "Even though I want to have it open for pedestrians, you still have to manage the legitimate concerns of folks who have issues about pedestrian safety and traffic flows," Bowman said. "Good leadership means knowing when to listen. On Portage and Main, that's one where I think [I had to be] listening to the community." The rookie mayor spent more time than his predecessor out in the community, at least in terms of attending public events. Bowman prides himself on his accessibility and makes no apology for his habit of documenting interactions with the public on his Twitter, Facebook and Instagram accounts. "Let's keep in mind that every social media post is reflective of an interaction in the community, and so when I'm out in the community, a lot of time people are asking for pictures. The alternative is to refuse when people ask for a picture and say 'No, I'm sorry, I'm not willing to take a picture,' " he said. "I want people to know I'm out in the community and I want them to know who I'm meeting with so I can be open and transparent. I also enjoy going out in the community and meeting with folks." At city hall, however, Bowman has been accused of ostracizing councillors who don't vote alongside him on the floor of council. Bowman punted Browaty and Lukes from executive policy committee after they voted against his plan to apply new fees on developments at the fringes of the city. Other councillors who didn't sit on EPC, most notably Mynarski's Ross Eadie and Shawn Dobson of St. Charles, also complained of being left in the dark if they did not play ball with the mayor. "I think that's kind of silly," said Bowman, who describes his council opponents as purveyors of "old-school politics" who are not willing to collaborate — and fabricate claims he's difficult to reach. "I think I've been much more open and accessible than previous mayors. I'm not sure who they're suggesting I've refused to meet with." The list of parties who claim Bowman either failed to consult with them or won't meet them in a meaningful manner is no secret. The Winnipeg Police Association has been actively campaigning against the incumbent. Developers have taken the city to court over growth fees. The taxi industry remains outraged about new competition from newer vehicle-for-hire companies, such as TappCar. In each of these cases, Bowman placed policy decisions above the need to placate what he calls "special interests." Good relations with cab companies were sacrificed to make room for the potential arrival of Uber in Manitoba. Developers were alienated as a result of an effort to raise funds to pay for new infrastructure. The police union, meanwhile, is upset the Winnipeg Police Service budget is no longer increasing at the rate it did during the Katz administration. Bowman often points to the slow rise in overall city spending as one of the successes of his administration, along with Winnipeg's commitment to reconciliation. For Bowman, Winnipeg's first Métis mayor, the city's rapprochement with the Indigenous community is a source of pride. All city staff are now trained to recognize the enduring effects of the residential schools system, he said. "There will always be voices in the community that don't feel the need to advance the calls to action in the Truth and Reconciliation Commission," he said. "I'm not one of those voices. I think how we respond or not as a country will be one of the defining issues of our generation." Since Bowman's election in 2014, opponents have made paradoxical claims about the mayor's Indigenous identity, claiming he both diminished it or exaggerated it during his first campaign. Whenever Bowman identified himself as Métis in 2014, he said his background wasn't a huge part of his upbringing. In this campaign, Bowman describes himself as more aware than he was four years ago. 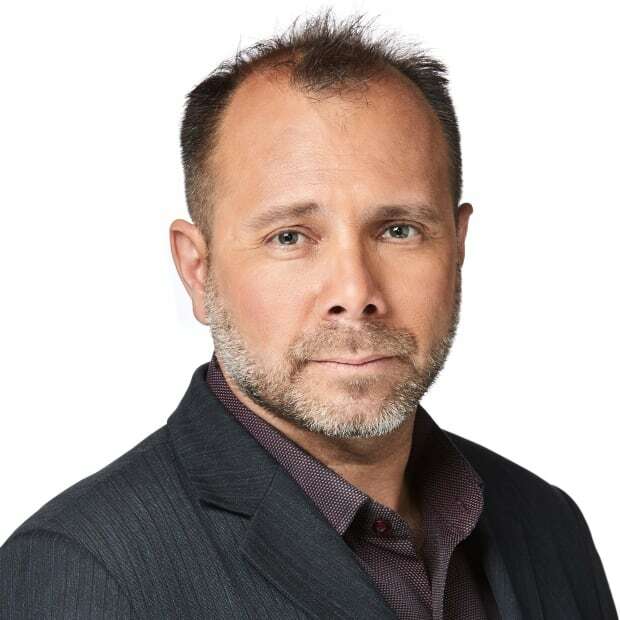 "I think I've become a little more empathetic to some of the issues Winnipeggers are dealing with," he said, and he feels has has a "better appreciation for the complexities of running a city and leading a city." That understanding explains the unambitious policy pledges in the re-election campaign. Bowman acknowledges money is tight and there isn't much room to manoeuvre within the city budget. He nonetheless said he enjoys being mayor and is not disheartened by the challenges of governance. "If I felt like that, then I wouldn't want to run again. Seriously. I have to go home at the end of the day to my children and my wife and there are days that are like any other job,where you go home and you're tired," said Bowman, who lives in Charleswood with his wife, Tracy, and their two sons, Hayden and Austin. "I realize we're affecting positive change. I get to interact with incredible community leaders in every corner of the city," he said, describing his job as invigorating. "I don't aspire to do it forever. I know it's a limited time, and that's OK."